Step aboard the Adventurer, a 12 metre catamaran and experience this fantastic cruise through the Whitsundays! 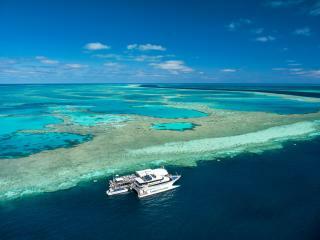 This 2 Day 2 Night journey will see you sailing, swimming, snorkelling the best that the Great Barrier Reef has to offer. Visit the stunning Whitehaven Beach with its pure silica sand, crystal clear waters and the amazing marine life in the vibrant underwater gardens of the Whitsundays - pure bliss! Maxi Boomerang, designed by German Frers, and built in Italy is a sloop design, 83ft in length, 20ft wide, built of high tech carbon fibre with a mast extending 110ft above the deck. British Defender is a high tech Whitbread Around the World Racing Maxi, and was raced by the British armed services in the 1990's. Boomerang & British Defender are virtually identical both re-fitted for Whitsunday sailing tours, they are huge downstairs and open plan, some of the many features include headroom throughout, higher than 6ft. Broomstick was built in South Africa to win the Cape Town to Rio Yacht Race, as a true Maxi, she is big, comfortable and very fast. Broomstick and her multi award winning crew will take you on an unforgettable sailing adventure throughout the Whitsunday Islands and, weather permitting, may visit the World Heritage Listed Great Barrier Reef Marine Park. Condor is perhaps the most famous Maxi yacht in history, having won every major ocean race in the world twice. Condor is the only yacht to have achieved this distinction. These races include the Sydney to Hobart, Fastnet, Bermuda races and the World Maxi Championship - just to name a few! Cruise through the stunning Whitsunday Islands and on to the outer Great Barrier Reef on board a large modern wave piercer. Tailor made for the reef, the innovative pontoon at Hardy Reef has numerous features and activities. 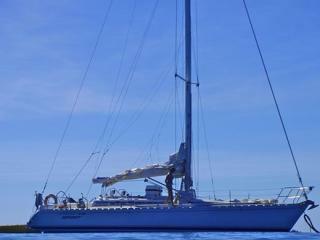 Hammer is a 22 metre Maxi yacht that is indeed a true Australian yachting legend. Throughout her racing career Hammer competed in many blue water events and was best known for her five consecutive placings in the world famous Sydney to Hobart. A trip on this boat is ideal for the hurried traveller that wants to experience the exhilaration of an ocean racing yacht, but is pressed for time. Enjoy the comfort of air conditioning, large roomy saloon areas and comfortable cabins. There is plenty of room for gearing up to go diving or snorkelling or just relaxing in the sun. 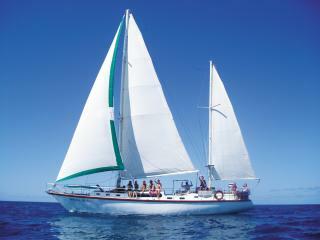 Enjoy all that the Whitsundays have to offer on this 3 day 2 night cruise on board Kiana. Learn to sail in Australia's premier sailing ground, the Whitsunday Islands with its premier sail training school, the Whitsunday Marine Academy in conjunction with Explore Whitsundays. The Academy is accredited by Yachting Australia and International Yachtmaster Training (IYT), providing Internationally recognised recreational and professional sailing qualifications. Ocean Rafting takes you to visit the top Whitsunday Island destinations on a marine safari, all in one day. Each Ocean Rafting day includes an exhilarating ride to world famous Whitehaven Beach and Hill Inlet, pristine snorkelling reefs and guided National Park walks. Ocean Rafting semi rigid inflatable vessels are super fast allowing you to experience a fun, fast, ride teamed with adventure and education amongst the natural beauty of the Whitsundays. 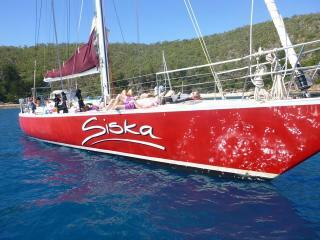 Enjoy the friendly social atmosphere aboard SV Whitehaven as you cruise the Whitsundays on an eco-sailing safari. Up to 24 passengers can experience the spectacular Whitsunday Islands, the lush rainforests and the abundant marine life of the Great Barrier Reef with diving, snorkelling and kayaking from this 17.5m sail boat. Built in Perth, Western Australia, Siska is 80ft long and has a single mast that is 106 feet high It is estimated that Siska had sailed around 140,000 nautical miles from its launch until arrival in the Whitsunday Islands in December 1992. Siska is one of the most comfortable maxi charter yachts sailing the Whitsundays Islands, she has ample head room throughout and on deck there is plenty of space to relax, and there is a boom awning for shade when anchored. Built 1902 in Holland of German Steel with Timber decking as a sail powered cargo vessel. Solway Lass provides guests with the opportunity to experience sailing as it was a century ago. Guests are welcome to assist the crew hoist the sails and steer the ship, or otherwise just relax on the huge decks and take in the views the Great Barrier Reef Marine Park provides. Southern Cross was built by Perth entrepreneur Alan Bond for the Americas Cup and designed by the famous yacht designer Ben Lexcen. She is 68ft long with a 97ft mast and was built for wind conditions of 10 - 18 knots, which is perfect for sailing the Whitsunday Islands. 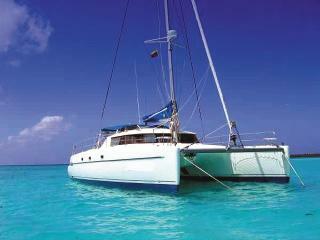 If you are after an exciting sailing experience with a smaller group, then Southern Cross is perfect. Summertime is perfect for those who want to sail, snorkel and kayak in a relaxed and adventurous environment. 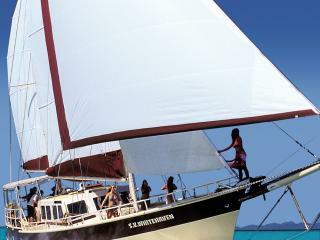 This Whitsundays Sailing Adventures boat is a classic timber square rigged vessel which is decked out with all modern comforts, including an on-board hot tub! 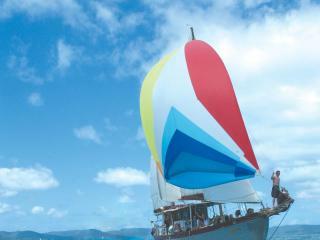 Enjoy the stunning Whitsunday Islands and Great Barrier Reef on this traditional sailing boat while you relax in comfort. 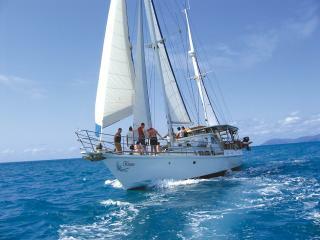 This Whitsundays Sailing Adventure is ideal for those after a short experience out on a classic cruising sail boat. Visiting beautiful unspoilt beaches, beautiful coral reefs or relax on board, this cruise will offer a truly memorable experience. Waltzing Matilda takes a maximum of 14 passengers to ensure a relaxed and enjoyable experience is had by all. Sit back and take in the fresh air and amazing views of the numerous islands of the Whitsundays while on your Cruise Whitsundays Vessel. Enjoy the morning at fantastic Daydream Island. Play a game of mini golf, walk around Island and Daydream Village or have a look at the Coral Lagoon, 'Living Reef' filled with coral, fish life, sharks and stringrays. In the afternoon head to stunning Whitehaven Beach and take in the national park surrounds or just sit and take in this 'must see' destination in the Whitsundays! 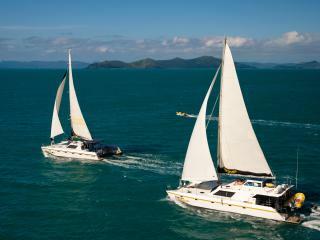 Experience the wonders of the incredible Whitsunday Islands with a 'Camira' Sailing Adventure day cruise. 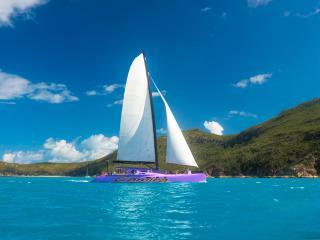 State of the art design combines with the grace of sail to create the ultimate day sailing experience in the magnificent Whitsundays. Explore the beautiful Whitehaven Beach and the spectacular Whitsunday Islands National Park on this full day excursion. One of the finest ways to discover the Whitsunday Islands is aboard the stylish sailing catamaran Whitsunday Blue, designed to accommodate only 4 couples in private ensuite cabins. The inherent stability of a catamaran means you can relax and unwind in comfort as your host and professional skipper guide you around the calm anchorages of the magnificent 74 islands. Enjoy the freedom and splendour of a Whitsundays cruises holiday on board the stylish Whitsunday Blue. 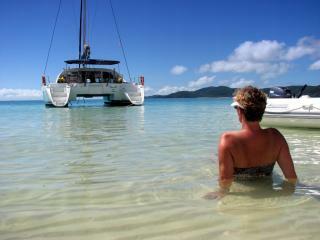 Enjoy the Whitsundays in style onboard this 2 day 2 night cruise - ideal for couples looking for a romantic getaway! This Whitsundays Sailing Adventures cruise offers a comfortable and relaxed environment with only 4 couples onboard at any one time. Enjoy snorkelling the coral reefs, strolling along unspoilt beaches and cruising the crystal clear waters of the Whitsunday Islands. 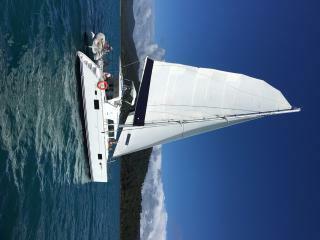 While on board this stylish catamaran you will enjoy everything that the Great Barrier Reef has to offer. Spend 2 days and 2 nights onboard the luxurious Whitsunday Getaway II as you cruise through the spectacular Whitsunday Islands. This cruise is ideal for couples with only 8 passengers onboard at any one time. It is easy to relax, unwind and enjoy snorkelling on the reefs, stroll along beautiful unspoilt beaches and walk through island bush tracks. 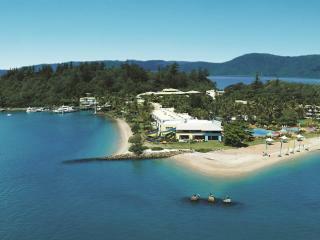 Is there any better way to take in the stunning Whitsundays and Great Barrier Reef? 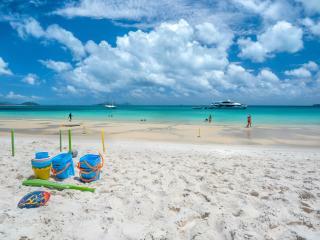 Spend half a day at the amazing Whitehaven Beach with Cruise Whitsundays. Depart from the Port of Airlie as you head out through the Whitsunday Islands and onto the beautiful silica sands of Whitehaven Beach. Cruise past well known islands like Daydream Island and Hamilton Island through Hook passage and into Cid Harbour and grab as many photos as you can. 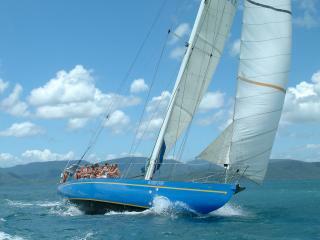 This Whitsundays Sailing Adventure is fast, fun and really exciting! While on board the vessel Wings 2, you will experience the unbeatable combination of snorkelling, sailing, and relaxing in the sun. Offering a social atmosphere Wings 2 is the perfect way to meet new friends and enjoy the stunning Whitsunday reefs.